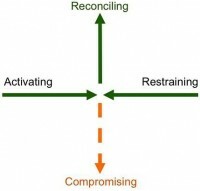 When we are faced with conflicting viewpoints, the frequent response is to compromise, or give-in, to each point of view. Both sides lose something as a result. The alternative is to reconcile. 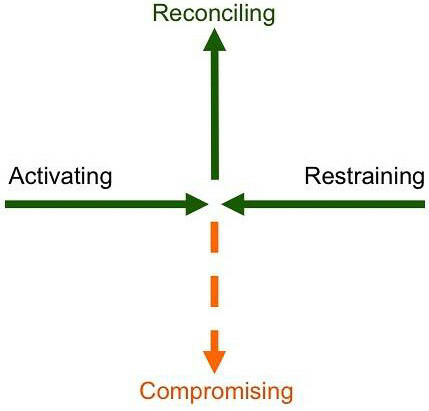 The Alliance is skilled at harmonizing conflicting issues because we work with a process that takes the time to identify the core issues that unite people and their vision, rather than a dispiriting, lose-lose compromise involving entrenched expectations. We used the assessment during our permit process and acquired an environmental permit in an unprecedented five months. (We're told it normally takes a year, maybe longer.) The directors of Natural Resources, Environment, Ecology, and Planning departments on the state and federal levels in Baja California Sur, Mexico, were apparently so impressed with the Site Assessment report, the work and depth of understanding it represented, they accelerated the process for us.